HEY, this is perfect for you! You love this show! Look what I found for you! You can dress up as Glee! 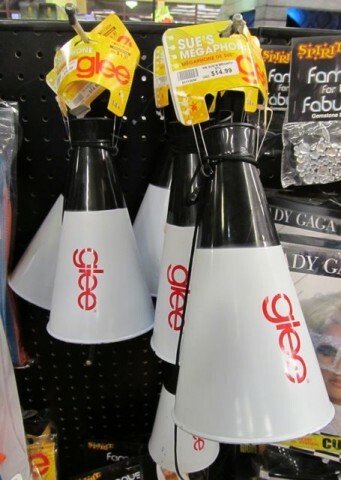 You can be Glee for Halloween! Which reminds me of a funny anecdote! As you know my father was a Carpenter First Class. Now he’s a Carpenter (Retired). During the summer when I was a kid, I would work with him on his jobs. And by “work with him,” I mean of course stand around, get in the way and whine a lot. Dad loved the show “Get Smart” and often he’d regale me with entire plots – complete with jokes – from specific episodes that he’d enjoyed. But he never referred to the main character as “Maxwell Smart” or “Max” or “Agent 86” or even “Don Adams” or, I don’t know, “the secret agent guy” or anything like that. Oh no. 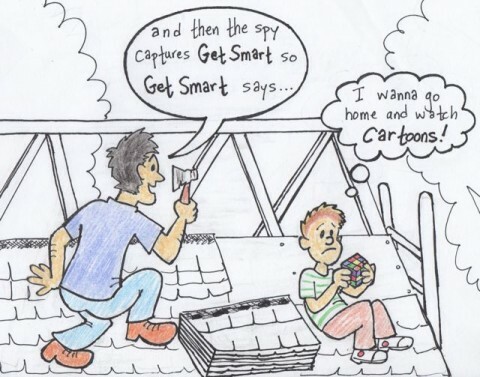 He always called him “Get Smart” as though the title of the show was the main character’s name. He could remember 99 but not 86?! They’re both numbers! Posted by Ted on October 31, 2012, 4:18 PM.